Bert Lochs (trumpet, flugelhorn); Steffen Granly (tuba); Dirk Balthaus (piano, Fender Rhodes); Wim Kegel (drums). Do not crop, resize, or otherwise alter the photos. If you're using the photos on a website, give me credit and provide a link to www.govertdriessen.com. All commercial use of my photographs is strictly forbidden without my prior written permission. Serious business or a meaningful tone is wasted on the, mostly Dutch, quartet Braskiri. Killing The Mozzarella is the title of their latest CD named after the moment you snip the tip of a bag of mozzarella cheese with your scissors. A playful and disconcerting title for an exciting album, on which piano, drums, trumpet and tuba dominate. This group, founded in 2014, enjoys ‘making a party’ as Dutch trumpeter Bert Lochs says. The group's sound is able to groove with high energy. The force that emerges when playing together is most important for Braskiri. There is no lack of fire and tempo, still, the group is never predictable: touching melodies crop up at regular intervals. 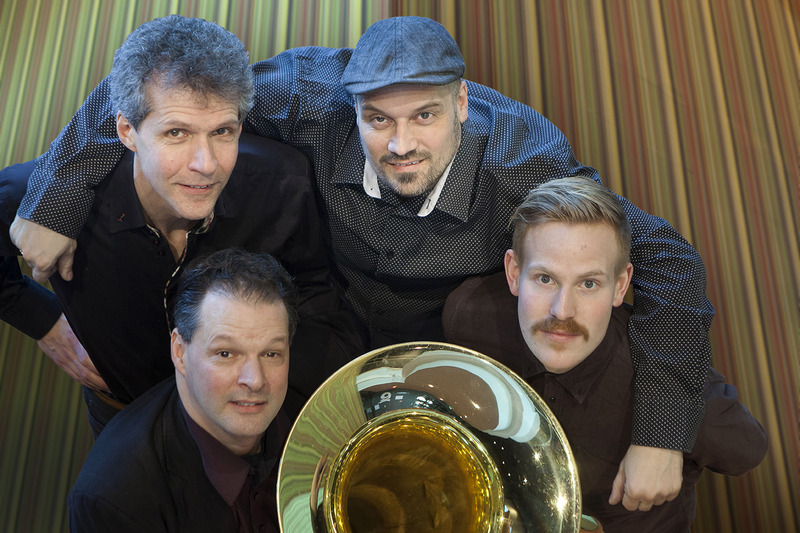 Braskiri's other members are: pianist Dirk Balthaus, drummer Wim Kegel and the young Norwegian tuba player Steffen Granly. After a successful tour of the Netherlands and Germany, they are now on the bill of North Sea Jazz.